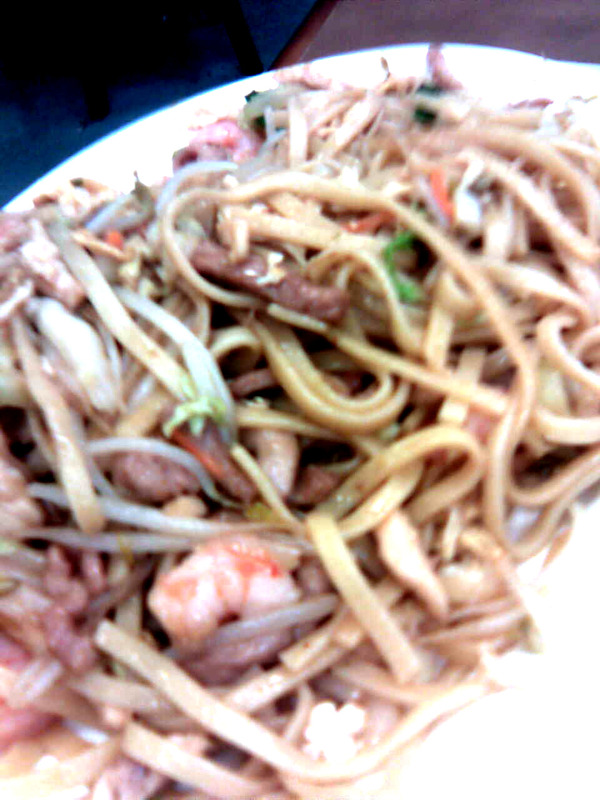 Yesterday for dinner, Jamie and I tried out Asia Cafe. She told me she was in the mood for some Chinese greasy noodles. I remember Bing had told me about how Asia Cafe (located inside Asia Market on 183 and Spicewood Springs) has replaced his former favorite Chinese, Din Ho. So we both tried and we’re both returning. I’m already planning on taking Jennifer W. who’s visiting from Madison in October to come here as she’s my other Chinese food fanatic. 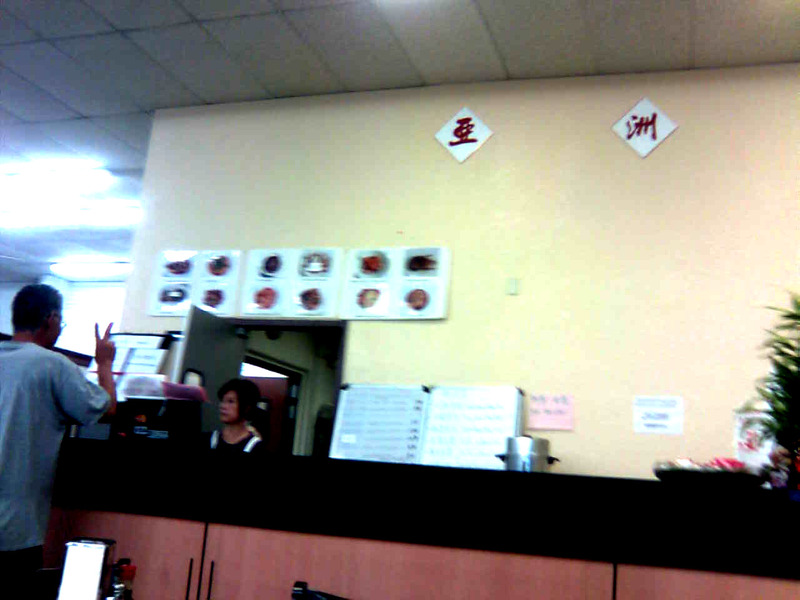 As I said, it’s located inside an Asian Market called Asia Market. (Hee.) Once you walk in the market, you just head to the back and order some yummy goodness. The lady taking our order was good about clarifying menu items. For instance, Jamie wanted to know what “Assorted Noodles” meant. It means combination lo mein. 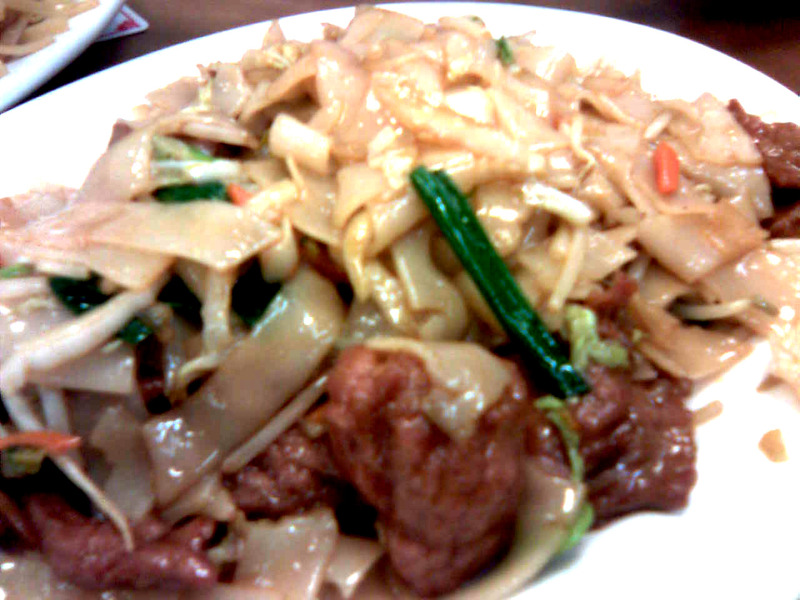 She ended up getting that and I got my usual Chinese order of Beef flat noodles. We also tried their fried dumplings which was very good. All very affordable and the portions are very generous. It’s a nice modest set up. You place your order and you come back to the counter to pick it up when they call out your number. Utensils, water, and bowls (to facilitate family style eating) are on a self serve table behind the counter. Don’t be shy. The food itself was pretty tasty which is is why I plan on dragging Jennifer when she comes in October. The menu is pretty expansive, can’t wait to try more dishes. I had left my camera at home so here are some cell phone pictures to suffice. Here’s the counter you order and pick up at. I like that the person ordering right now is throwing a deuce.